Monterey just got a little more crowded, the ladies of "Big Little Lies" are back in town. 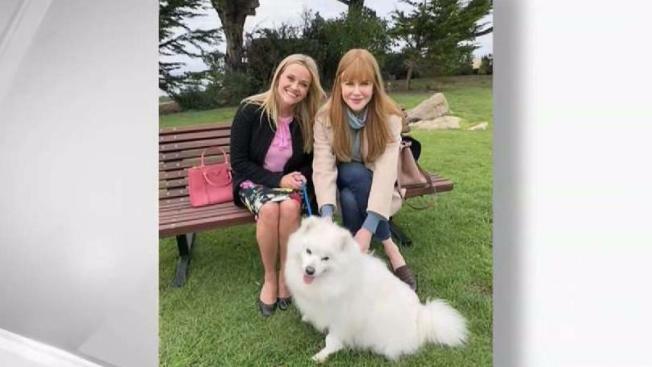 Reese Witherspoon, Nicole Kidman and Meryl Streep have been spotted in Pacific Grove this week. Monterey just got a little more crowded, the ladies of "Big Little Lies" are back in town. HBO began production of the second season of the murder mystery starring Reese Witherspoon, Nicole Kidman and Shailene Woodley in March and the ladies are just as excited as us. On March 19, Witherspoon, who also produces the show and stars as Madeline Martha Mackenzie, tweeted a photo of herself and co-star Laura Dern in front of the Seaside Coffee Shop in Monterey with the caption, "Look who are back in town! #BLL"
Woodley, who plays Jane Chapman, and Zoe Kravitz, who plays Bonnie Carlson, also shared photos of themselves in costume. One star who hadn’t been spotted until this week is Meryl Streep, who joined the cast for the second season as Mary Louise Wright, the mother of Alexander Skarsgård's character, Perry Wright. Streep, Kidman and Witherspoon were spotted filming in Pacific Grove and Carmel this week. The second season of the show, "will explore the malignancy of lies, the durability of friendships, the fragility of marriage and of course, the vicious ferocity of sound parenting," according to the cable network. "Big Little Lies" earned 16 Emmy nominations and eight wins after its first season.